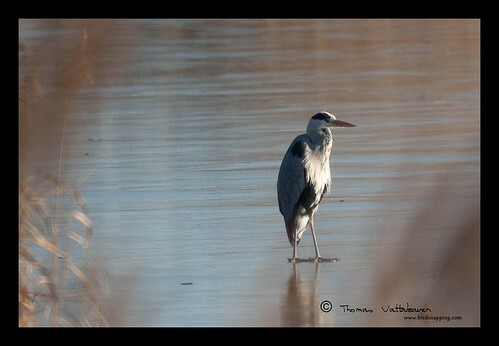 For a moment I thought that the heron was in the water and the water was so shallow as to allow the heron to stand in it. However, I soon discovered that the water was no longer water. 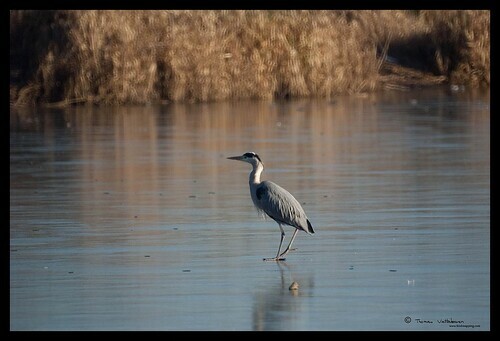 The whle pond had frozen over into a thick sheet of ice! 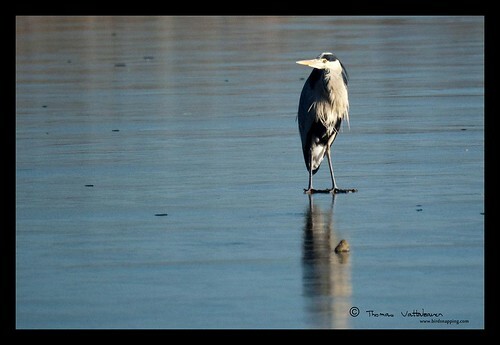 The heron was standing on the ice sheet, looking very pensive, almost as if trying to concentrate on the fish below. 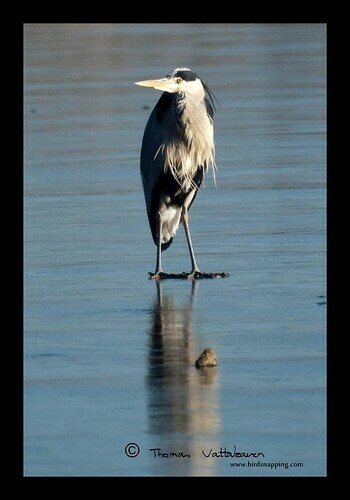 …I wondered if it just didn’t get the fact that there will be no fish. I decided to stay back and see what exactly it was up to. …and decided to move on. I got this pic as it was taking off . 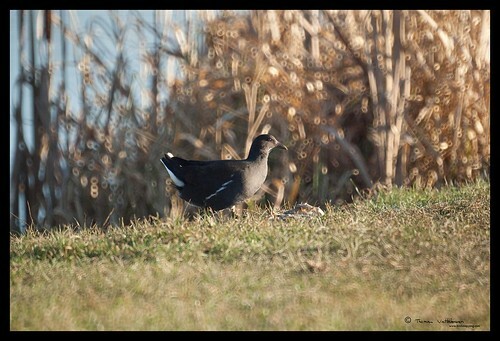 I wondered where it would head to, or if it would get a meal at all today. 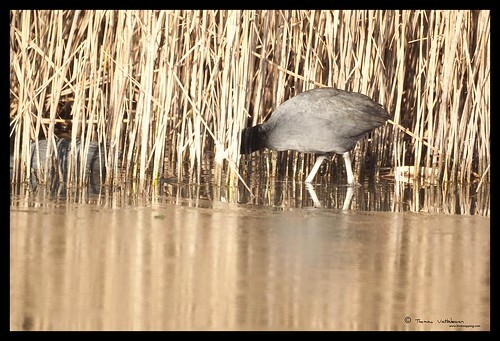 The heron was not the only bird about, this juvenile moor hen seemed to be a busy fellow as well. 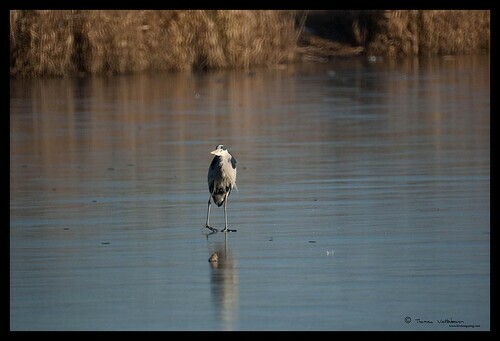 At least, he had the option of hpping on to land when the water was frozen to look for food. …and it seemed to be having some success at it as well. however. 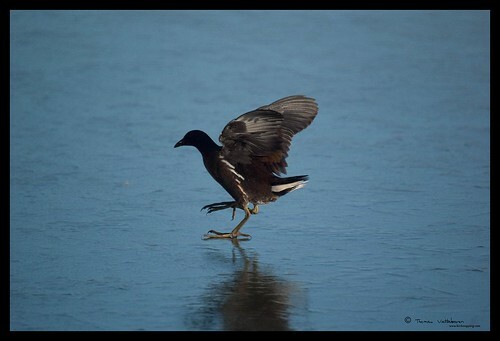 it son decided that the land was not as attractive and headed back to water, or rather, to ice! 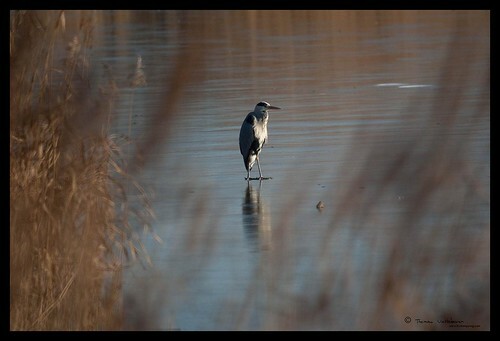 The only portion where the ice was thin was that immediately adjoining the reeds. 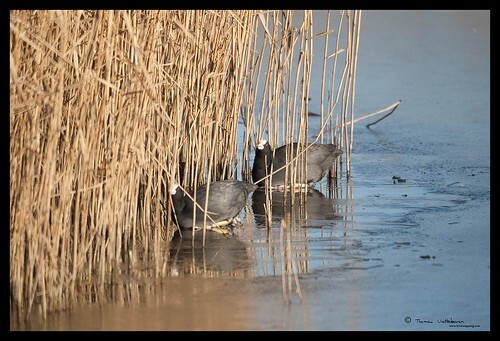 I saw several coots in this region, they seemed to be incubating the ice with their own body temperature to be able to melt it and get access to the water! 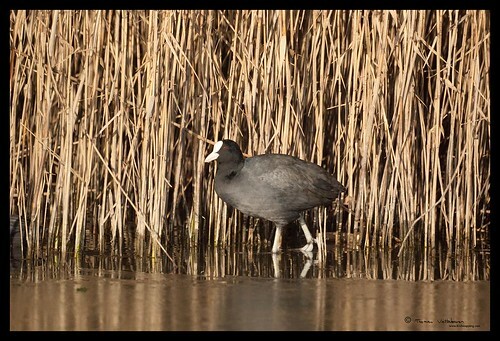 I suppose the coots got what it wanted or had to make do with what it got from the little areas of access it had to water. They feed on both plants and insects. I guess they would find some of the former if not for the latter. 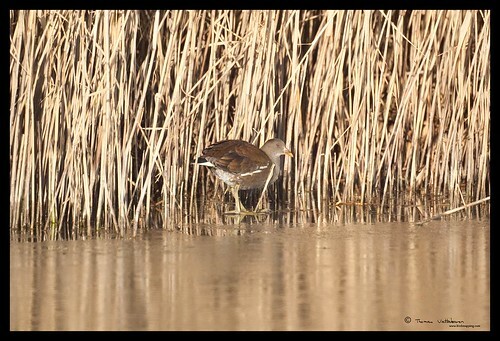 The moorhen though didnt seen hhalf as happy being back in water. Now coming back to the other reason why I shouldn’t be out bird snapping too much in this weather is this message put out by the BTO. 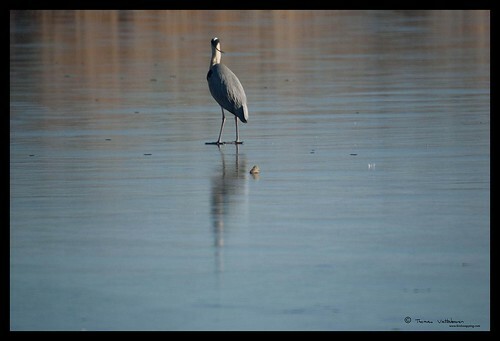 Britain is currently undergoing its most prolonged period of cold weather for over a decade. 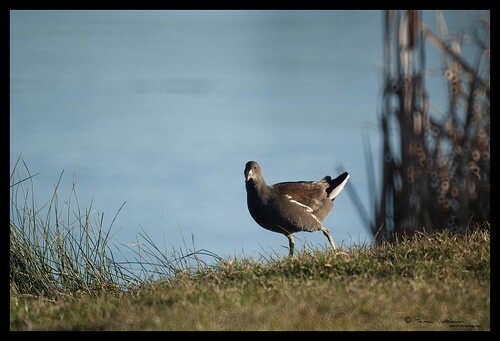 In such circumstances, it is important to be especially careful in minimising any unnecessary disturbance of wild birds, especially the wildfowl, waders and other waterbirds that visit our coastal and inland wetlands in such internationally important numbers. 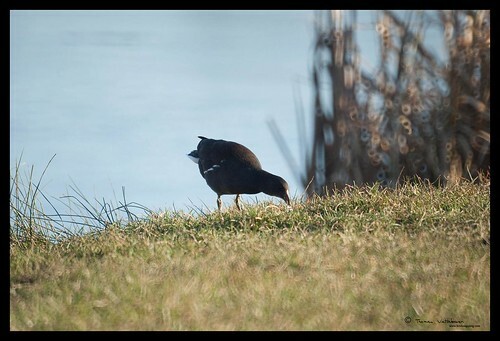 In frozen conditions, birds not only need to expend more energy to maintain their body temperature, but food becomes much more difficult for them to obtain. 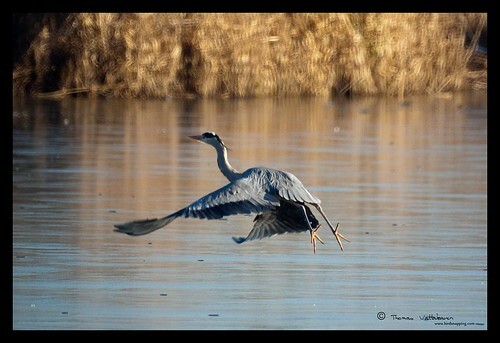 In such cases, disturbance by people only adds further to the physical stress on birds, and such additional disturbance may result in increased mortality. 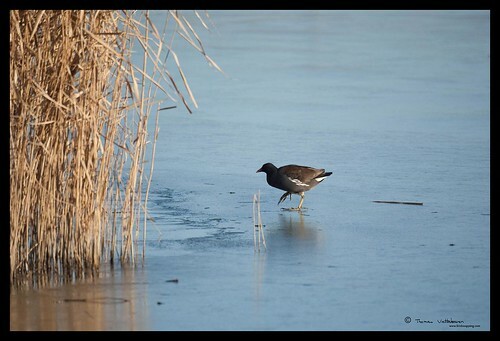 Since 1983, an alerting system has been in place enabling statutory agencies and non-governmental organisations to work together to minimise the level of disturbance to waterbirds in frozen conditions. This includes mechanisms for the voluntary restraint (after 7 days of frozen conditions) and then statutory suspension (after 14 days) of wildfowl shooting. Under the criteria by which the number of days are calculated (see www.jncc.gov.uk/page-2894 for details), 6th January 2009 represented day 8 in Scotland and day 7 in England & Wales. 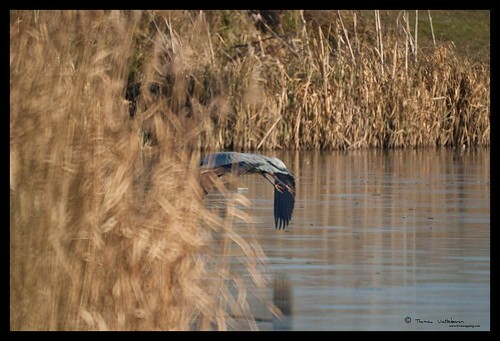 In addition to shooting, however, it is also important to ensure that all other forms of disturbance at wetlands, including birdwatching, should be minimised. It is important that existing surveys such as WeBS and the Bird Atlas continue to be undertaken, but participants should avoid disturbing birds wherever possible. Importantly, if you do find dead birds during this cold snap, please do check them for rings, as this can tell us a great deal about the birds involved. Details of ringed birds can be submitted online at www.ring.ac or to recoveries@bto.org.